There aren't enough food, service, value or atmosphere ratings for Hotel Krishna Bavan Restaurant, India yet. Be one of the first to write a review! Food quality is good here, one can have a nice vegetarian meal here. Located centrally too and it has pocket friendly prices. Krishna Bhavan is real paradise for veg foodies. The morning breakfst items wit normal south Indian items like idly, dosa, pongal , vada are extremely good and healthy. Was here for breakfast during my recent Chennai Trip. 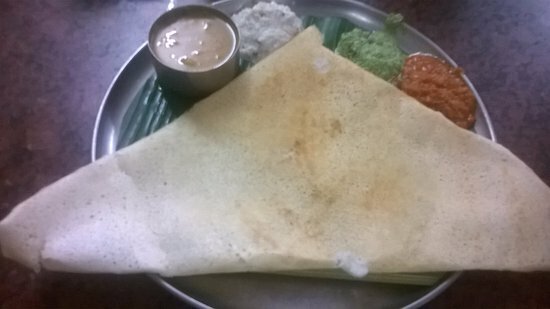 Had Dosa which was really tasty with the sambar and two types of chutney they provided. its an average restaurant, not that great ambiance, felt they lacked cleanliness. Priced pretty decent. Get quick answers from Hotel Krishna Bavan Restaurant staff and past visitors.